Electric dryer and hair dryer towels. Stayed a week at this little perfect apartment with my wife and two kids. The place is really cute and located a stones throw from the ski hills and the centre of town. Amazing place in Les Gets, looking forward to visiting again next year! The flat is small yet very practical with everything you need except a washing machine but there is possibility of washing within the station. The flat is very well located at the entrance of Les Gets which is good and bad because being near the church the bells are loud and the fountain nearby and the traffic noise are quite high if the windows are open which is necessary in the summer. Nonetheless we enjoyed our stay very much and would recommend it. The flat is very close to all the shops/restaurants and very close to the cablecars. The view is fantastic. The apartment is in a great location in the centre of town, only a short walk to the main lifts, and it is well equipped. It was great having separate bedrooms and had the added bonus of a dishwasher. The concierge was very helpful and helped us out when we didn’t realise that bed linen was not provided and had to be rented separately. This could be made a little clearer in the instructions but did not mar the holiday experience. We would definitely come back! pour le linge, cela est indiqué clairement sur le site et sur mon contrat mais seulement en français, donc je pense que je vais faire un exemplaire en anglais afin d'éviter les malentendus ! Great holiday, apartment great comfortable and cosy, skiing amazing, ESF instructor great with kids, resort lovelly, food gorgeous. Will be re booking on our return to the uk, can't wait to come back next year. 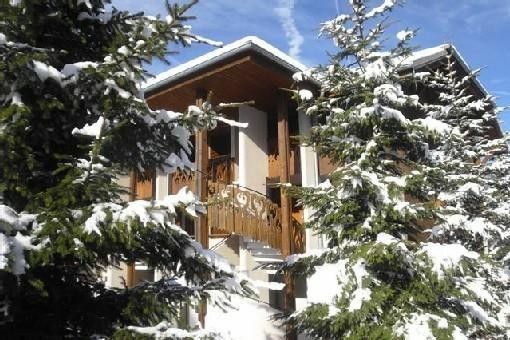 The apartment was in an ideal location for quick access in to the town centre and ski lifts. The size of the apartment was adequate for our requirements and met our expectations. It was nicely furnished and decorated. We would stay at this apartment again in the future. As the apartment is advertised on a dual language website it would be useful if instructions are provided in both French and English (e.g. on how to use the combi oven, information about what's provided in the apartment, etc). Overall, we had a lovely stay in Les Gets and loved the apartment. thank you. Ski: We are 150m from the slopes and 150m from the ski school and a nursery for children.